Dale Carnegie - How to Win Friends and Influence People: Dale Carnegie's How to Win Friends and Influence People now an ebook. 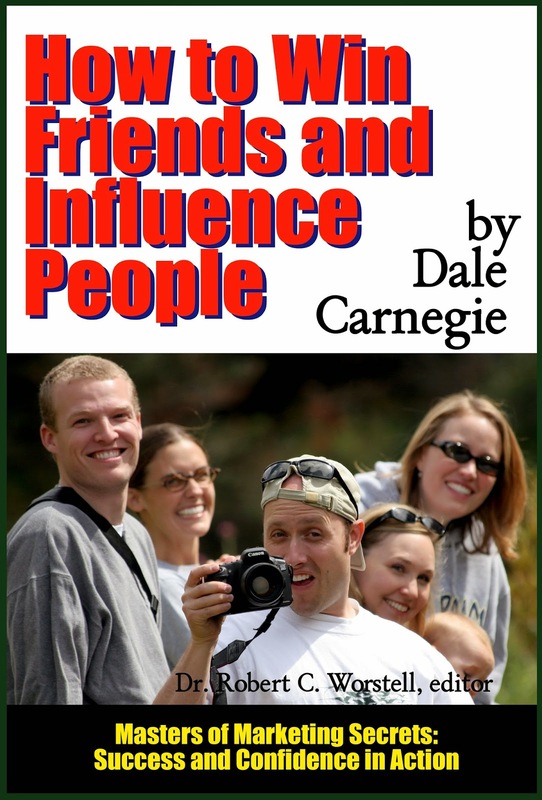 Dale Carnegie's How to Win Friends and Influence People now an ebook. Dale Carnegie's classic bestseller on human relations now a new ebook and paperback edition. Because you need someone to tell you how sales actually works - and why most ads fail. This was a key book to learning how to survive as a teenager. For me, anyway. I found I was using these techniques decades later without thinking - as I discovered when I picked up this book again recently. And that's probably why I've been told I would be good at sales - even though I detest that word. The reason is pretty simple - bad salespeople haven't read or don't apply this book to help people around them improve their lives. The top ones do. Since advertising is called "Salesmanship in Print" - why not go back to the Master of human relations to learn how it's done? Carnegie had reviewed something like 150,000 speeches by the time he wrote this book. The reason he had for this was to fill a need which was missing in all those speeches. While an instant bestseller, this has continued selling well ever since. And while I don't have time for a full review yet (I am only half-way through publishing this to the various distributors) - you are going to get a decent treatment of this, and probably an ecourse you can receive in your email if you want. Back to it for me. For you - make sure you subscribe (above right) for RSS feeds or email, your choice or both.